HumbleBee.net: SWTOR: Come and join me! SWTOR: Come and join me! Tomorrow at around 13.00 CET the servers will open and the first batch of pre-orders will get their head-start codes in their e-mail. I will probably get mine in the first batch, just because I'm at work then. Doesn't matter, I will play when I have the time. Anyways, this posting isn't so much about head-start as it is about server and guild. A while ago I created a guild on the SWTOR website, I choose to call it "WolfClaw" after the guild I was GM for a while in WoW. I did consider inventing a new name, but decided against, wanting to add to the legacy of the clan WolfClaw. The purpose of all this is to try to gather as many of my gaming-buddies in one place, friends from the old days in Battlefield 1942 up to recently acquired friends from other games and IRL. 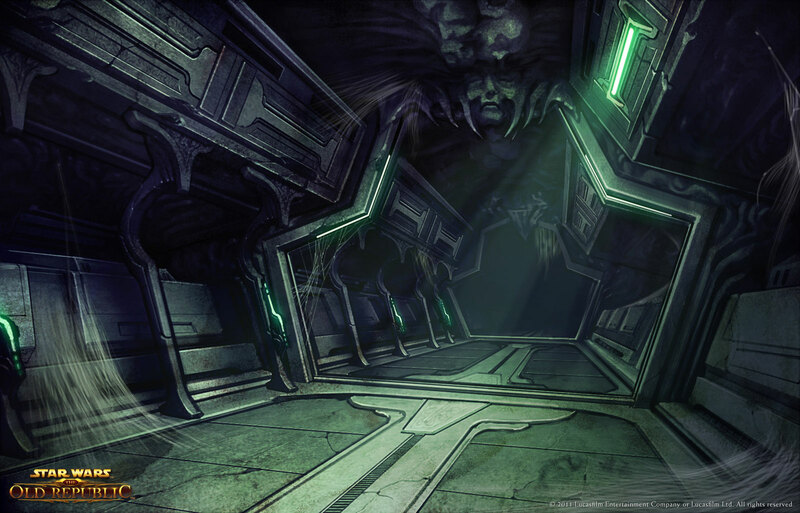 The guild has been allocated to the server "Peragus Mining Facility" by Bioware. If you want to play with me and the rest of the gang, create a char on that server and whisper anyone who is online to get en invite. We are playing SITH Empire on a PVE-server. And I want to play with my friends, come and join me! Oh, btw. I'm the GuildMaster. That means that I'm the dictator. I make the rules, I decide the policies if the guild. It is my guild, my call, my faults, my responsibility. I will give you the good news, I will also give you the bad news. I will not hide behind someone else, like modern day politicians. On the other hand, those of you who has had me as GM before know that I do listen to what my subjects say, I am the benevolent despot. I just want to have fun with my friends in a game that looks like it's gonne kick arse!